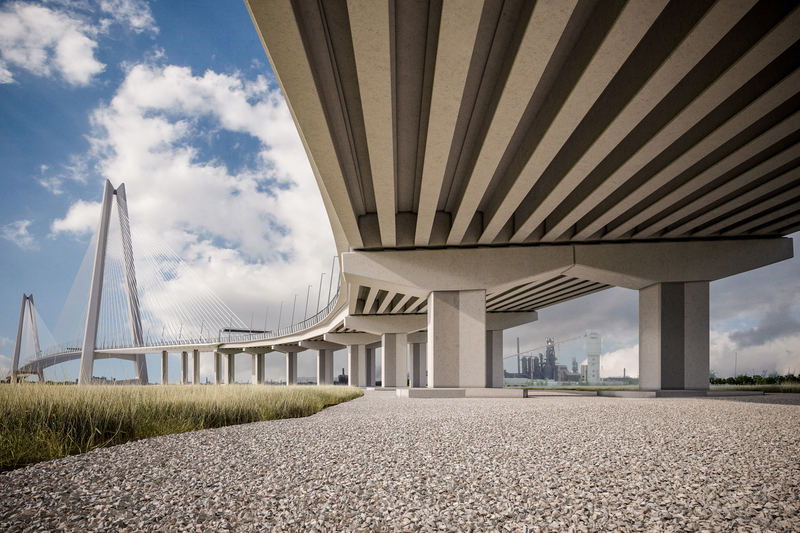 BEaM provided architectural design services to CanAm Gateway Partners, one of three contractor-led joint ventures tendering to construct this major highway crossing of the Detroit River between USA and Canada. 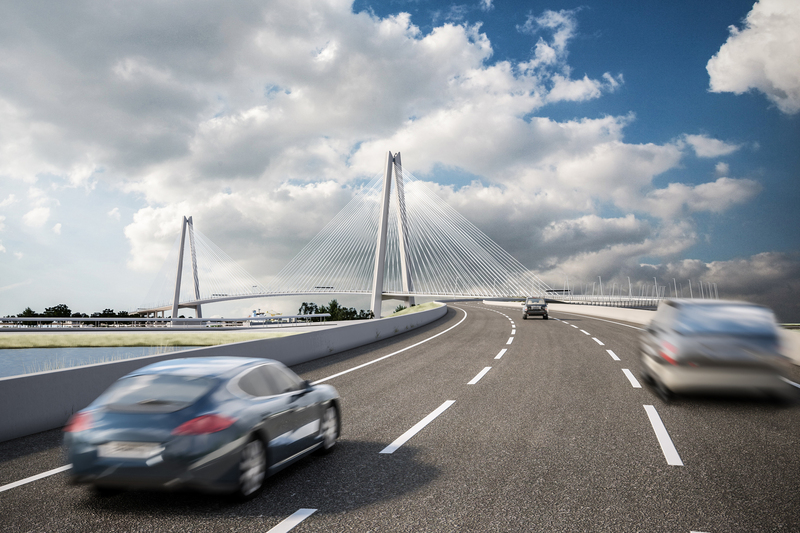 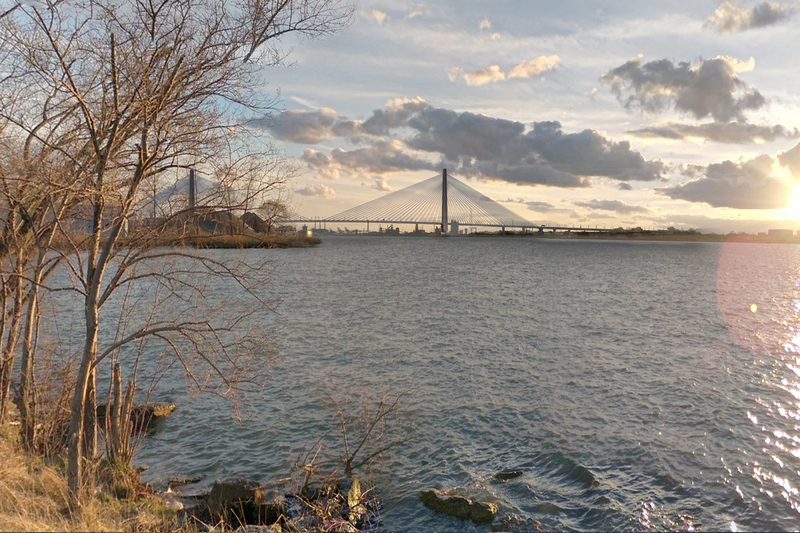 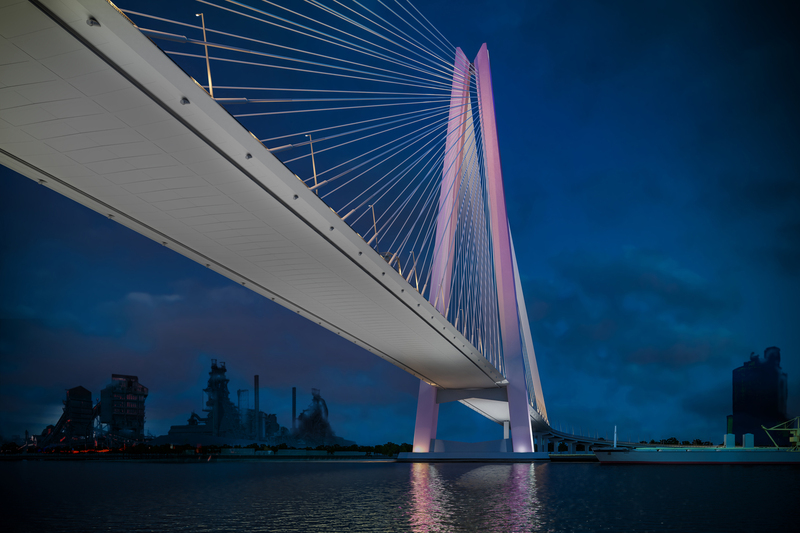 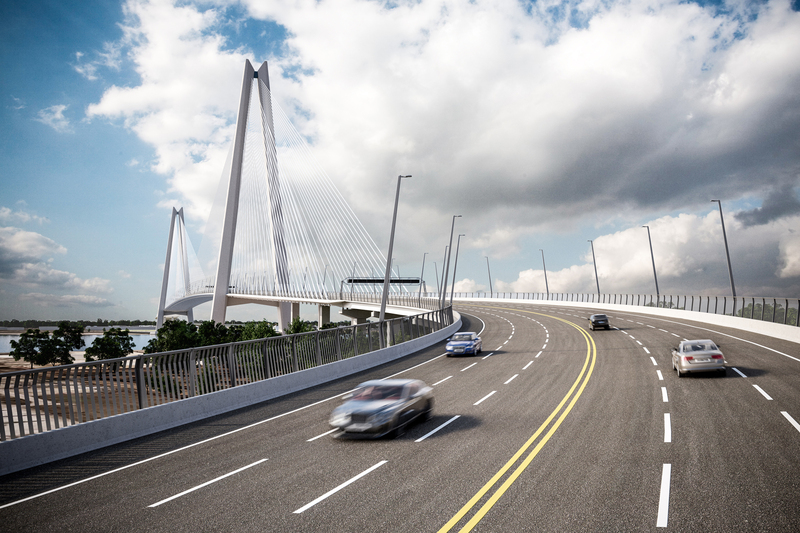 As well as developing aesthetic proposals for the cable-stayed river crossing, BEaM also established standard geometries for bridge piers and consistent profiles for steel and concrete bridge decks to ensure compliance with the Owner’s Aesthetic Design Guidelines. 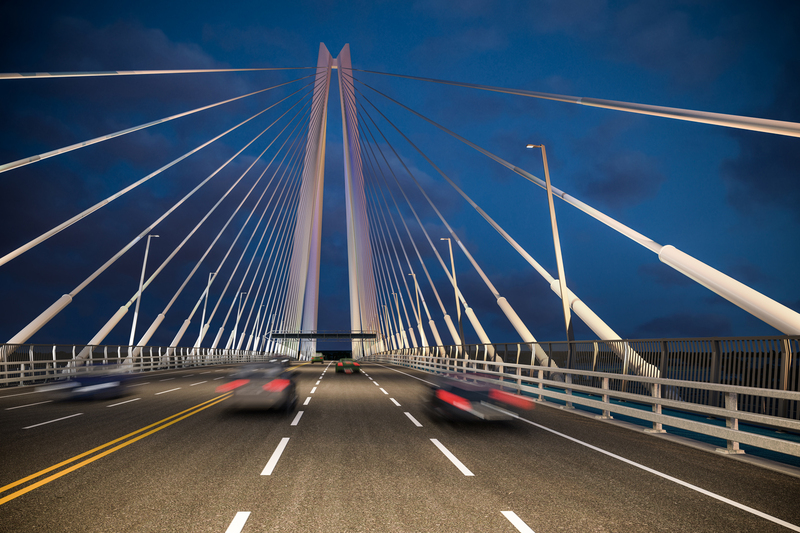 The whole crossing is 2.5km in length with an 850m main span high above the Detroit River. 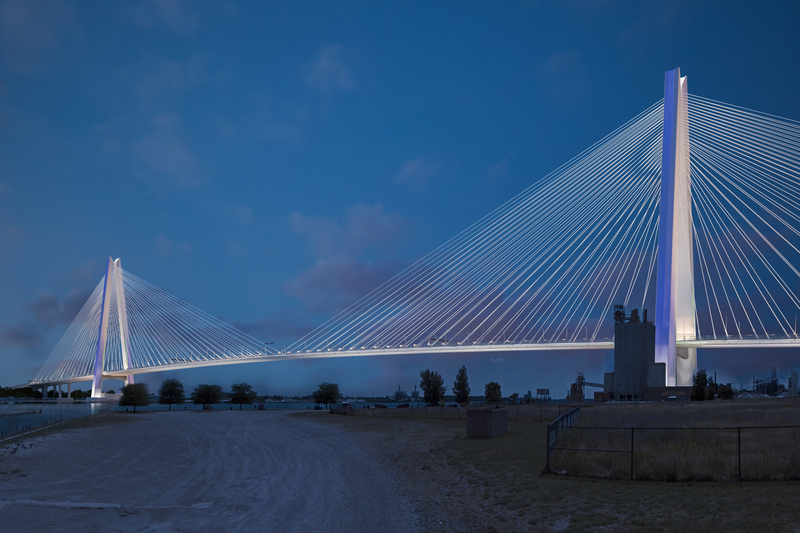 The bridge has a snaking alignment and is conceived as a highly-visible signature component of the new border crossing.